This is a well-written and easy-to-understand self-development book written as a series of lessons. 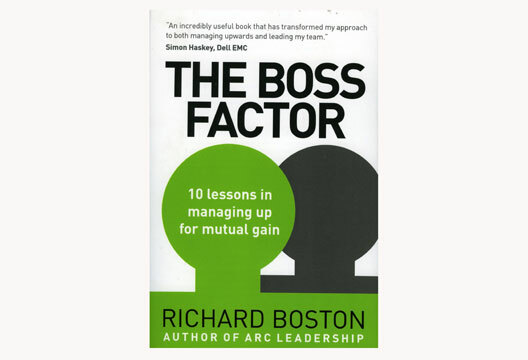 Richard Boston takes the reader through a sequence of exercises on topics such as creating a vision, challenging assumptions, and ownership. The book is rich in information and wisdom, written in layperson’s terms, allowing for reflection and exploration. Although not a leadership book, the lessons, if applied, can only make one a better leader. I did wonder whether some of the exercises could have been shorter; but if someone has the time to commit, they’re useful. The book contains reflection sections in the middle and at the end whereby the author re-emphasises the learning and guides the reader to reflect on this and any changes in their behaviour as a result of application of their learning. I found the book easy and light to read and would recommend it as a useful tool for self-reflection and development for someone who is moving or is wanting to move up the career ladder. - Reviewed by Tara Dean, who is Head of HR and Development at Subfero and has an MSc in occupational psychology.